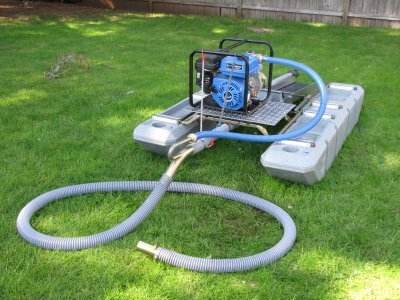 I crafted my first suction dredge back in 2015 when it looked like there might be a chance to dredge again in California. But the day I placed it in the Klamath River, some game wardens confiscated two dredges downstream from me and were looking for more. I pulled my unit into the brush and ran it for about half an hour as I tried to work out a few problems. Then I put it back in the RV before the wardens could catch me. It is just a 2″ suction and a sluice of my own making mounted on the frame and floats for a four-inch dredge. But I was pretty impressed with the way it worked. I struggled to move it around by myself. It weighs about as much as I do; and with the current pushing on it, I am easily overpowered by the river. Doing things by myself is really tough when it isn’t just plain impossible. Someday, I would like to find out if my dredge will catch gold. I think I have built something I can be proud of. But until dredging is legal again, I have resigned myself to stick with non-motorized gold prospecting. I do prospecting for fun. Worrying over getting in trouble with the law is not fun for me. I had the opportunity to make a brief visit to Happy Camp in August of 2016. I like people, but tend to wander off by myself where I can enjoy the surrounding beauty and some quiet solitude. I chose to camp at Savage Rapids. I had the place all to myself. There wasn’t a soul in sight during the four days I was there except for the people driving down the highway. It seemed like all of the other New 49’er members were far downstream developing a new gold strike that had been made below Happy Camp. My wife had purchased for me a metal detector and I happily spent a couple of days digging nails, tin cans and junk from the gravel bar without ever detecting a single speck of gold. I decided on my third day to put away the detector and try a bit of crevicing so I’d have something to show my wife for my time on the river. By midday, the temperature on the rocks was brutal and I was roasting in the sunshine. There, just a few yards away was a river filled with cool water. It was too much to resist. Anyone that has ever seen Savage Rapids will tell you that is dangerous water. 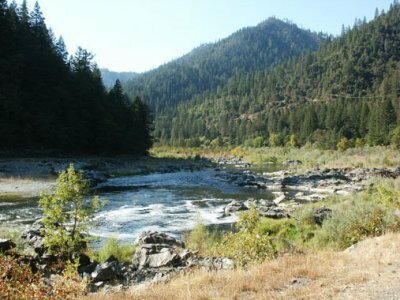 But a short distance downstream from the parking (camping) area and the main rapids, there is a place where the river widens a bit, creating a calmer pool on the north (road side) side of the river. Wearing goggles, I slipped off into the water, keeping very close to shore and inspecting the gravels as I cooled off. I did not realize until it was too late that I was being slowly carried into one of those dangerous eddies. In the blink of an eye, I found myself moving faster away from the safety of the shore. I tried to swim towards the shore but the current was too strong. So I swam with the current, hoping I could just peel away from the flow. But instead, I was drawn into a narrow channel where the main flow of the river was churning the water white with bubbles. This all happened in a matter of a few seconds. Water lacks density when saturated with air bubbles. This made it almost impossible to swim because I was stroking largely against air instead of water. I became totally exhausted almost immediately. Yet, the current just became stronger. Finally, I was drawn into the narrowest part of the channel and was spun in circles like a top by the swirling currents. I was helpless to do anything about the turbulent force that had me in its grip. All around me were giant up-welling’s of water. Those were countered by down-welling’s which dragged me underwater like a bug being sucked down the bathtub drain. Every ounce of my energy was drained. In a microsecond of mental clarity as I saw a big whirlpool in my path, I knew my only hope was to fill my lungs with as much air as they would hold and hope that my natural buoyancy would at some point lift me back to the surface. I took my last breath just before I was sucked deep beneath the surface. In total panic, I almost wasted that last breath of air by screaming for help. Not that it would have done me any good because there was nobody nearby to hear my call. Had I called out for help, I certainly would not have survived the experience. I remember the exact moment when I became so exhausted that I could no longer move my arms and they seemed to just float above me as I sank deeper into the depths. Then came darkness as I blacked out. I don’t know how long I stayed beneath the surface. I do remember my body getting slammed against some rocks. I vaguely remember thrashing about and banging my left elbow on the rocks hard enough to be quite painful. The next memory I have is finding myself washed up on a little sand bar next to some boulders on the side of the river. I was experiencing an overwhelming amount of pain. I was certain that I was having a heart attack and that I was going to die right there. My body was so oxygen-deprived; that even though my lungs were taking in air, I was still gasping as if I was being dragged under the water. When I was finally able to stagger to my feet and look around, I discovered that I was trapped on the wrong side of the river with no way to return to the other side. That’s a bad situation to be in while you believe you are having a heart attack! Scared beyond words, embarrassed, and on the edge of total panic, I sat down to rest and gather my composure. I was so weak that walking was dangerous. There was no way I was able to swim across the river. To enter the water again was to die. That was certain. No help was coming. I was screwed big time! But as I gathered myself together, I recognized that I was still alive and not ready to give up. After what seemed an eternity, I began exploring the river bank looking for a way to cross the river. I found a piece of plastic rope tangled in some willows. I gathered that up and kept looking; for what, I don’t know. I was looking for something I could use to help get me across the river. I finally settled on what appeared to be just the right piece of drift wood that might get hung up in the gnarly rocks and boulders on the far side of the river. 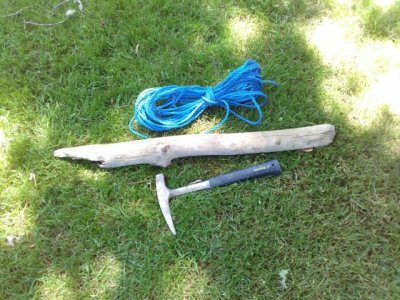 I tied one end of the rope to the driftwood and carefully made up the rope so it would play out nicely when I threw it. Then, in the place where the river’s channel was the narrowest, and also the raging water was most turbulent, I was finally able to toss the piece of wood across the river and get it to hook in the rocks like a grappling hook. It took quite a lot of tries to make this happen. But I was determined, because it was late in the day and I could not fathom the idea of spending the night over there in the cold. I pulled and tugged on the rope about a gazillion times to test its strength while I tried to work up the courage to enter the water again. It is for sure the most frightened I have ever been in my life. I was still struggling with a horrible feeling that I was in the middle of a heart attack. Getting to the other side of the river was my only chance of survival. Finally, I tied the rope tightly around one wrist and plunged into the water knowing full well that if the rope or wood was to give way, the last remaining bit of life in me would be snuffed out in a matter of seconds. In a split second, the rope slammed taught almost ripping my arm off, and the current shot me across the river like a stone skipping across the water. I consider this to be some divine intervention, because my plan could so easily have gone wrong in that mammoth torrent of boiling water. Deep down inside, I felt some relief that I made it. But I was in too much pain and far too exhausted to experience any joy. Now that I have recovered, I am so thankful for being saved by the rope and driftwood, I will hold onto them as some of my most cherished belongings for the rest of my life! I made my way back to the RV, got into some dry clothes, laid down on the bed and totally passed out. The following morning, I woke up very happy to be alive. My body had some bruises and hurt all over. But my breathing was normal and heart was beating fine. I was starving! After some breakfast, still in shock, I stayed in the slow lane of the highway all the way back home. I never went to a doctor, so I don’t know what happened to me physically. Whether I truly had a heart attack is just a guess. Maybe just a total panic attack. But I can say with certainty that something happened to me that has left me with less endurance than I had before. I admit this might be some post-traumatic stress from the harrowing experience I went through. Part of it is that I am just getting older, too. I am a tad embarrassed that I have taken such reckless risks. But darn, getting myself into such dire circumstances, and using my own ingenuity to overcome them, leaves me with increased confidence and more sense of personal freedom. I am also more cautious, having experienced for myself that the difference between life and death can only be seconds away. I don’t want to repeat those experiences, but they were great adventures now that they are behind me. Now I am eager to get into the next adventure; but for sure, somewhat less extreme…. I Apologize for the Long Delay in Putting Out a Newsletter! Longtime supporter, Dickey Melton, loves to feed pay-dirt into our gold recovery system during the Group Projects! Our office has received many calls about not receiving a newsletter for so long. Nobody else can really put together these newsletters but me (too bad!). Part of the reason is that since the final two Weekend Group Mining events of 2017 were cancelled because of wildfires, I didn’t have much story material to work with. Also, until just a few weeks ago, there has been almost zero movement on legal matters that affect our situation. That doesn’t leave me much to talk about. Even though you are not hearing from me as often as before, I can assure you that my first priority is, and always will be, with the help of our close, dedicated team, to manage the New 49’ers so that everyone who participates has a wonderful time and finds gold. And, also to oversee our obligation to try and win our industry back through the non-profit Legal Fund. 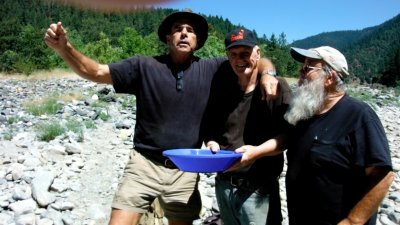 We are presently gearing up to provide you guys this season with exciting Group Mining Projects along with a special three-day event in July with mining and metal detecting seminars, a coin hunt, rafting trips and other activities that will be fun for the whole family. 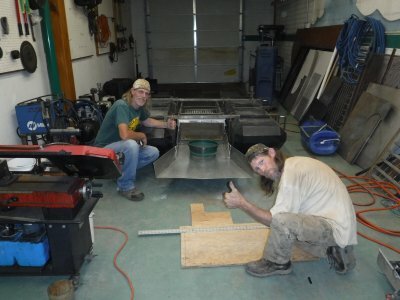 Craig & Derrek in our shop. 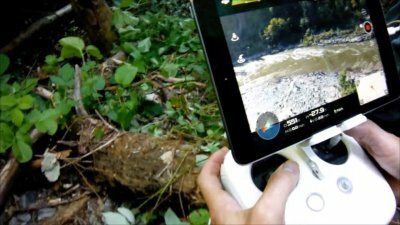 Alan was capturing video of a Group Project that was a whole world away from where he was controlling the drone! 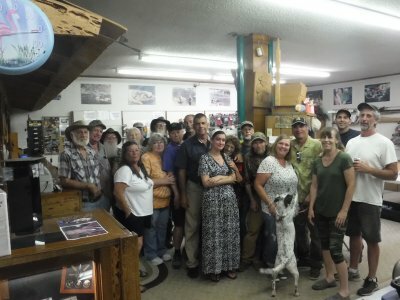 There is a lot more about all the fun we all have along the Klamath River in northern California by checking out our past newsletters. In concert with several other organizations, we are also sponsoring a special 3-day event in memory of three of our closest supporters who recently passed away: Ray Koons, Myrna Karns & Gary Wright. This event will take place on July 6, 7 & 8. Everyone is welcome. There will be a metal detecting seminar, mining demonstrations, rafting, hiking & camping, along with a hot dog and hamburger lunch and special BBQ. Our staff is working hard to make this event fun for the whole family. Please contact us for more details. Here: check it out on youtube! Many of you guys have met Gary if you have spent time in our office, participated in the Weekend Projects or attended our potlucks. He was a wonderful human being, always placing the needs of others above his own. Originally from Canada, after getting blown up in some kind of industrial accident and becoming substantially disabled, Gary moved down to California and took up gold mining. This is what brought him to Happy Camp and The New 49’ers sometime around 1991. Gary was an incredible fabricator. 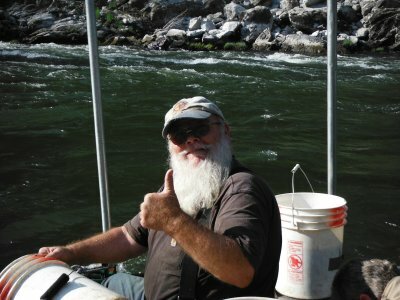 He built his own 10-inch dredge and operated it along the Klamath River during the late 90’s. He was one to never let his disabilities stop him, even if they did slow him down at times. He always had a smile on his face, even though he was in chronic pain. I’m not sure there was ever a time asked for volunteer helpers that Gary didn’t show up. Most of the innovations we have come up with to keep underwater mining going since 2009 were fabricated by Gary. He built the steel tripod we used last year to channel side-stream water across the Klamath River. Gary was a Director in The New 49’er Legal Fund, and devoted countless hours on his own battling with unreasonable State intervention into our lives. He loved the freedom associated with gold mining; he loved all of us that keep The New 49’ers going; and he loved Happy Camp. Gary was so tough, even when he was really crippled up with arthritis, when his car broke down, he struggled with only his walker two miles mostly uphill to our workshop more than once to help complete the work on fabrication jobs we were doing – welding while sitting on his walker. He was quite a guy and everybody loved him. Even though he seldom had enough money to feed himself, every week he made it his personal duty to treat the girls in our office with chocolate and other treats. He was also a kind hearted prankster, taking delight in tricking the girls with his storytelling. Gary was struggling with his physical difficulties from the time he arrived in Happy Camp. There was always something bothering his broken body. But he seldom complained. He was just happy to be on the front lines of all the action. I guess we all got so used to Gary’s physical difficulties, we never expected that his end was near. Group image after our informal service to celebrate Gary’s life and give him a proper send-off. All or most of Gary’s local close friends attended. Soft spoken and polite, Gary was delighted in knowing all the gossip about everyone in Happy Camp. If I wanted background on anyone, all I had to do was ask Gary. Very religious, he was largely opposed to drinking alcohol. But over time, I talked him into a glass of red wine as we spent time relaxing in my apartment after finishing shop work, usually late into the night. Mostly we talked about life, freedom; and more recently, whether or not Donald Trump will succeed in overcoming the Deep State. I was in the Philippines when John Rose from our office notified me that Gary was in the hospital for bypass surgery. Supposedly the procedure was routine. But Gary’s body was only being held together by a wish and a prayer. John was at his bedside after the operation, along with others from The New 49’ers and his immediate family. The doctors said he was not recovering as normal. Even though we were in completely different time zones, I knew that the essence of Gary had let his body go, because he paid me a visit on his way to heaven. I’m telling the truth about this! I was driving my car when I suddenly had the thought of Gary; and had to immediately pull over to the side of the road because he completely enveloped me with an overwhelming feeling of love and gratitude for our time together. There was a brief moment when I was completely occupied by Gary’s essence at its very best. He was so very happy to be free of that broken down, old, painful body. Full of love and exhilaration, and thankful of all his friends and life-experiences, he knew I would pass on his deep thankfulness to all of you. Then he moved on. I sat there for the longest time because of the emotional impact of the experience, tears of joy and sadness were preventing me from seeing. Sadness, because I won’t see Gary again in this life. Gladness for the wonderful friendship we shared together. We have video footage of the drawing, but it is in a format that we have not been able to edit. Ten one-ounce American Silver Eagles: Kim Ellison of Hayward CA; Ryck Rowan of Spokane WA; Ryck Rowan of Spokane WA; Ryck Rowan of Spokane WA (and yes we did stir the pot/tub! ); Tom and Sharon Chambers of Hanford CA; Bob Burdett of Shingleton CA; Steven Lundin of Yuma AZ; Pat O’Brien of Long Beach CA; Greg Dennis of Livermore CA; and Aviya Girdner of Edgewood WA. 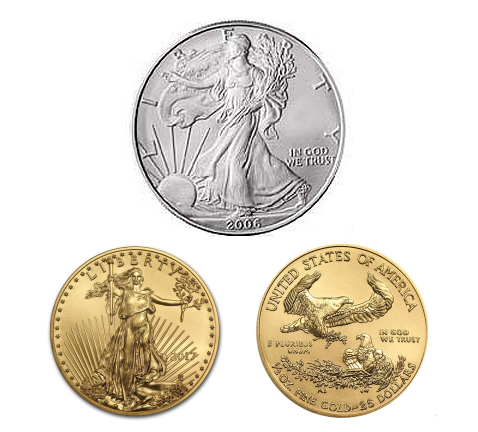 Ten tenth-ounce American Gold Eagles: Kenneth S Wagner of Klamath Falls OR; Ralph Wiser of Reno NV; Mark McCurry of Monterey CA; Robert Deknes of Tampa FL; Parts to Use, a company out of Oakland CA; Robert Maytum of Sacramento CA; Ryck Rowan of Spokane WA; Terry McClure of Quartzsite AZ; Don Wylie of Seiad Valley CA; and Ted Gray of Portland OR. Two Grand Prizes winners of the half-ounce American Gold Eagles: Rocky Tester of Milwaukie OR; and Steve Sharp of Citrushights CA. Congratulations!! to all the winners!! A special thanks to our drawing helpers Christina Johnson and the little side kick, Lilly Garcia. Thank you guys for all your support. It is only with your help that we will ultimately win! To conserve financial resources, we have reduced open office hours to 9 am through 4 pm, Monday through Friday. Our office will remain open on Saturday mornings only during the weekends when we are sponsoring Group Mining projects: June 23; July 21; and August 18. Those will also be the only Saturday evenings for our Saturday evening potlucks this coming season. As of now, my understanding is that there is not any legislation being seriously considered at the federal level concerning mining on the federal lands. My read on this is that the Republicans need to increase their majority in the U.S. Senate. And quite a lot more drainage (from the swamp) needs to be accomplished in the federal agencies before meaningful reform can be implemented concerning resource development of the federal lands. We just need to be patient. It took a century or more to fill the swamp with anti-American values and creatures. It’s going to take some time to clean up that big mess. However, Mr. Trump did sign several Executive Orders just a few days ago that will make it a lot easier to discharge nonproducing federal officials. This is likely to be challenged in the federal courts like most of the policies Mr. Trump implements. One step at a time. Frankly, I don’t understand how employees of the federal government who are supposed to be serving taxpayers can be allowed collective bargaining (represented by unions). I suppose this will be dealt with in its own good time. There is an important legal case out of Oregon (Bohmker v. Oregon) which is challenging State authority to prohibit mining on the federal lands. Oral arguments took place in front of the federal Ninth Circuit Court of Appeals on the 8th of March. We are now waiting for a Decision to be rendered. Whichever way the Ninth Circuit decides Bohmker; it is a near guarantee that the Oregon Case will be appealed to the U.S. Supreme Court. The final decision will affect Oregon, California and the rest of the federal lands in America. This is separate from any new laws that the Trump administration will eventually push through as long as republicans continue to control congress after the upcoming midterm elections. The latest news on progress to get motorized mining and suction dredging going again in California was put out a few weeks ago by Shannon Poe of the American Mining Rights Association (AMRA). Shannon put out an announcement in mid-May that he and others have been working closely with officials in the California Water Quality Control Board. Shannon says, beginning in 2019, they have made progress to, more or less, get our suction dredge regulations back much the same as they were prior to the moratorium which was imposed upon our industry in 2009. 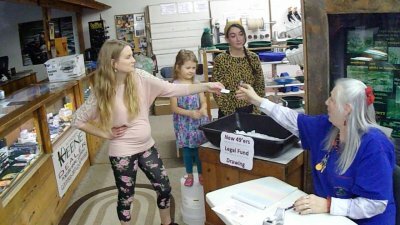 As part of Shannon’s efforts, a new bill has been introduced to the California Legislature which redefines “suction dredge” in terms of gravel and water being directed through a suction hose to a mineral recovery system. If that bill were to be passed under its existing language, it would free up most of the other types of small-scale motorized mining that we do, but not necessarily suction dredging. As I understand it, under existing law, California Water Quality Control must issue a permit to allow suction dredging before the Department of Fish & Wildlife (DFW) can issue a suction dredging permit. During the past, California Water Quality issued a state-wide permit that covered everyone who was operating under the suction dredge regulations adopted by DFW. DFW issued a new set of suction dredge regulations several years ago. 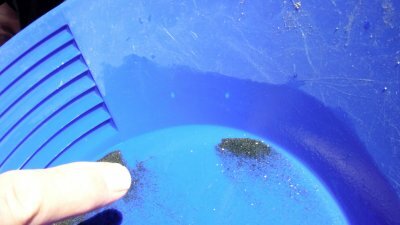 So if Shannon has managed to convince California Water Quality officials to issue a general permit, or individual permits, based upon the finding that suction dredging produces a “De minimis impact” according to his announcement, it would be a complete reversal of their official position for at least the past 5 years or more. I know Shannon Poe to be a very level headed man with a strong determination to help win suction dredging back in California. He has contributed generously to The New 49’er Legal Fund. His announcement prompted The New 49’ers to immediately ask our attorney to make personal contact with the attorneys who have represented both DFW and Water Quality Control during recent litigation over suction dredging in California – and he could not find anyone within these agencies who know anything about the statements made in the AMRA announcement. We took it a step further and contacted the person in charge of issuing permits at California Water Quality Control. He also did not know about any changes in the works. Having done all that, I also must tell you that I have worked with these California agencies for many years; and it is more common than not that, because the agencies are so large, information about changed policies or new programs does not get circulated around the agencies very well. If there is anyone with the savvy and determination to reach inside these agencies and bring about positive change, Shannon Poe would be the guy. In any event, he deserves credit for trying. We can all hope that Shannon is onto something that we have yet to confirm. If he is, we should begin hearing something about it from the agencies pretty soon. Meanwhile, please allow me to provide a reality check: Unless there is a major turnover in future elections, radical liberals will continue to impose their unreasonable and non-sustainable policies on the rest of us in California. Those liberals are 100% beholden to our enemies. We devoted a huge effort, and hired one of the State’s most effective lobbyists, to kill the original moratorium that put an end to suction dredging in 2009. Some of you will remember how much effort was invested into that by The New 49’ers, Public Lands for the People, Keene Industries, and other people and organizations within our industry. Remember the postcard drive we directed to Governor Schwarzenegger? His aids told us that the Governor’s Office had never been contacted by so many people –ever! In the end, we were so out-matched by the liberal machine in California that even some republicans and the republican governor voted against us. It was a very painful lesson! The lesson was (and remains true) that we cannot overcome our enemies through the administrative or political institutions in California because they are controlled by our enemies. We are up against a totally stacked deck when trying to bring about positive change through the legislative and executive branches in California. If Shannon can get past all of that, then he is a magical miracle worker! After figuring out that political solutions would not work in California, we turned our fortunes to legal challenge. In the end, after many years of litigation all the way to the top, we came to the very same conclusion with the California Supreme Court fully disregarding the law of the land in favor of the liberal agenda. So unless someone pulls off some true magic, the solution to our problems at this time cannot be found within the three branches of California government. I would be the last one to discourage AMRA’s or anyone else’s’ efforts on behalf of the industry. But, from my own perspective, from considerable personal involvement, the chances of success at the State level are poor at best. At the same time, I have reasonable confidence that the Trump Team (federal government) in time, is going to do everything it can to get resource development flourishing again on the federal lands. America cannot become truly great again until we are allowed to develop our own natural resources. They are already fighting this battle in federal court with California and other liberally-controlled States. 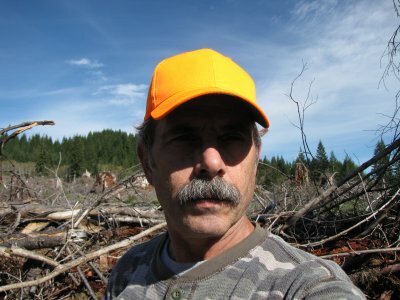 Federal agencies under Mr. Trump’s leadership are up against the very same people and organizations that killed sustainable timber development and have suction dredging stopped. The cases are moving ahead. At the same time, I understand that there are perhaps six vacancies in the 9th Circuit Court of Appeals, and maybe two Supreme Court Justices that are getting ready to retire. It’s an uphill battle for the Trump movement right now because he/they are up against an army of liberals and obstructionists at all levels of government that ultimately need to be purged and forced to get real jobs for a living. Holding down honest jobs in the private sector to support their families would be the ultimate re-education program for all those people who are holding the country down because of misguided social and economic principles that do not work. As of this moment, nearly all those who are resisting want Mr. Trump out of office at any cost. Once he overcomes the serious matters at hand, my guess is that his momentum will pick up in our direction. As difficult as it can be, we need to adjust ourselves and just be patient. As long as Trump is allowed to continue his work, the tables are eventually going to turn. And when they do, government employees will be there to help us succeed, rather than prevent us from doing even the simplest things to get on with our lives. On that note, I heard on the news this morning that the Trump Team is looking at how to open up sustainable logging again on the federal lands. It’s the first time I have heard that. Since around 50% of federal lands are presently off limits to mining, I suggest things will begin swinging in our direction before long. 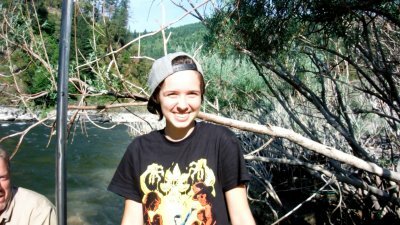 We should keep hope alive for Shannon Poe. 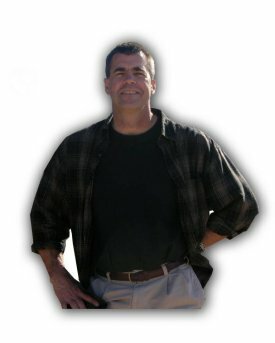 Shannon is an honorable and smart guy who deserves the benefit of the doubt; and as much support as we can throw behind him if his solution comes to fruition. More importantly, we should do our absolute best to support Donald Trump. He is the single best chance we have of opening the federal lands back up to sustainable development in spite of the State’s unreasonable objections. Mr. Trump, perhaps, has the resources to implement a long term solution that will set the future for sustainable resource development on America’s federal lands. 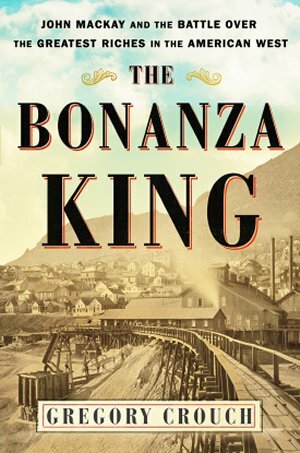 In June, a biography of one of the world’s greatest miners will be published – THE BONANZA KING: John Mackay and the Battle Over the Greatest Riches in the American West by Gregory Crouch. This is an epic book that anyone interested in mining will enjoy. John Mackay started out in the mid-1800s as a miner making $4/day; and through hard work and mining knowledge, he became one of the wealthiest men in America (his fortune would be roughly $66 billion in today’s dollars) by discovering and extracting the greatest mineral deposit in the World — the Comstock Lode. THE BONANZA KING will make you rethink the western history you were taught in school. It provides a greater appreciation for the western states’ role in transforming America into a world power after the Civil War. This book tells the story of a hardworking man who never let money change him, and never lost his good name. 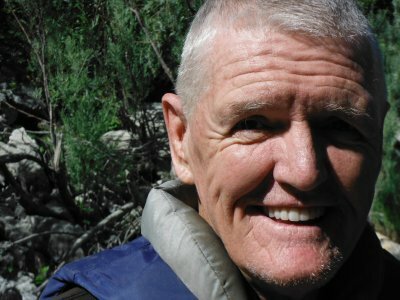 The author, Greg Crouch, grew up in Goleta, California, and has been fascinated by the Comstock Lode since he visited the area as a child. He graduated from West Point, completed US Army Airborne and Ranger schools, and served as an infantry officer. He became a mountain climber and was a senior contributing editor at Climbing magazine. He’s written two previous books about adventure and history, Enduring Patagonia and China’s Wings. Please enter the giveaway – and check out the book at Amazon, Barnes & Noble or an Independent Bookstore near you for more information.